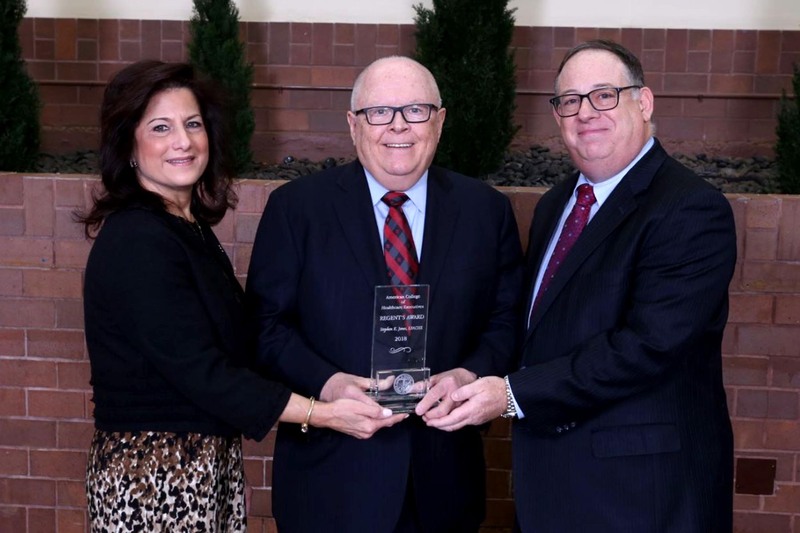 Stephen Jones (center) is presented the Lifetime Achievement Regent’s Award by Nancy DiLiegro, MS, MPA, PhD, FASHP, FACHE, Member of the Board of Governors of the American College of Healthcare Executives (ACHE) and ACHE Regent for New Jersey—Northern (2014-17), and Michael S. Friedberg, CRCR, FACHE, Awards Committee Chair, ACHENJ. Stephen K. Jones, LFACHE, Executive in Residence in Health Administration at the Edward J. Bloustein School of Planning and Public Policy, was awarded the American College of Healthcare Executives of New Jersey (ACHENJ) Lifetime Achievement Regent’s Award, in recognition of significant contributions toward the achievement of the advancement of healthcare management excellence. The award was presented on January 18 at the 100th annual breakfast and awards presentation. He is the former President and CEO of Robert Wood Johnson University Hospital (RWJUH)—a nationally distinguished academic medical center and Level I Trauma Center—and the Robert Wood Johnson Health System. Recently retired as RWJBarnabas Health’s Chief Academic Officer, he negotiated the merger that created RWJBarnabas Health, now New Jersey’s most comprehensive health care delivery system, treating over 3 million patients a year with 15 adult and children’s hospitals and multiple sites and services. 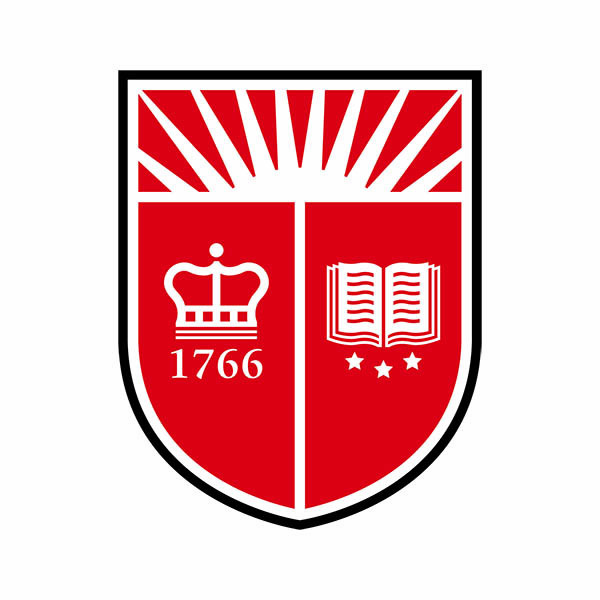 At the Bloustein School he teaches courses in healthcare management at the graduate and undergraduate level. Jones has been honored with numerous awards including the 2014 Outstanding Healthcare Executive Award from the Edward J. Ill Excellence in Medicine Foundation. 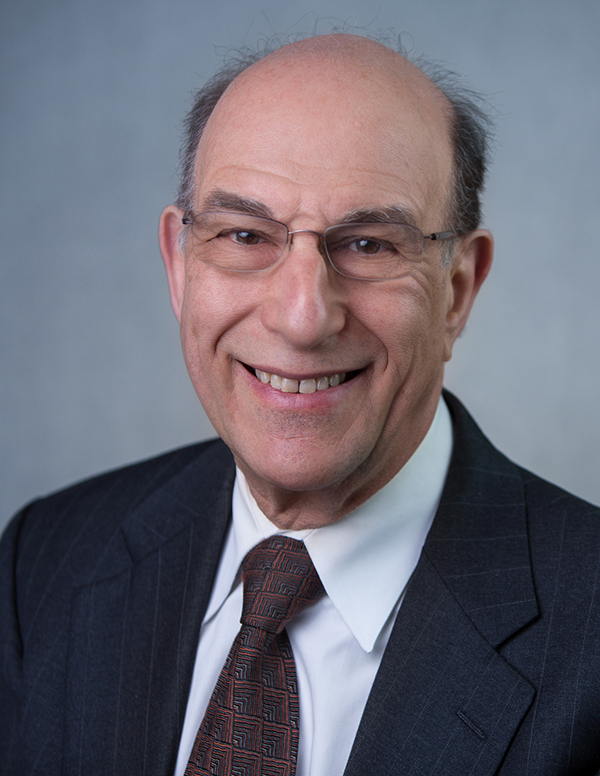 He served as Chairman of the New Jersey Hospital Association and as a board member of University Health System Consortium, the New Jersey Council of Teaching Hospitals, and the Center for Medical Interoperability (C4MI). He is a Lifetime Fellow (LFACHE) of the American College of Healthcare Executives.